What is SUSE Manager for Retail? SUSE Manager for Retail is SUSE’s open source infrastructure management solution. It has been optimized and tailored specifically for the retail industry. It is designed to help retailers reduce complexity with better control of IT assets, increase efficiency by optimizing and automating operations, and reduce costs of managing retail environments. It provides a reliable, flexible and open platform for managing point of service (POS) and point of sale terminals, kiosks, self-service systems and reverse-vending systems. What is new in SUSE Manager for Retail 3.2? Simple and flexible image building helping you to more quickly build customized images for your POS terminals, saving you time and money. Use the SUSE Manager UI to setup an image build host and build customized images or leverage pre-build image templates to setup your POS systems. Optimize operations by leveraging the forms-based framework of SUSE Manager to quickly and efficiently setup your store environment. Our forms-based approach helps you setup a store server and configure key services –such as DHCP server, DNS server, PXE boot server, TFTP server and FTP server, with the branch server providing the network boot and systems management infrastructure. 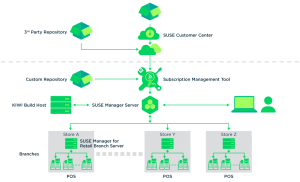 What are the advantages of deploying SUSE Manager for Retail? How does SLEPOS fit into the picture with SUSE Manager for Retail? Legacy SLEPOS had a 3-tiered layered architecture comprising of an Admin server, multiple Branch servers and Point of Service Clients. We have moved away from an image management paradigm in legacy SLEPOS to a managed end-point paradigm with SUSE Manager for Retail. This implies that the SLEPOS Admin and Branch server components have been discontinued, and with SUSE Manager for Retail 3.2 onwards, SLEPOS will only refer to Point of Service Clients which can be build and managed via SUSE Manager for Retail. What happens to existing SLEPOS customers? Can existing SLEPOS customers migrate to SUSE Manager for Retail 3.2? SUSE Manager for Retail 3.2 is initially targeted at new installations. SUSE Manager for Retail 3.2 will not be enabled for migration at release. The plan is to add migration support by the end of the year, for existing SLEPOS customers to move to SUSE Manager for Retail 3.2. Can I migrate from SUSE Manager for Retail 3.1 to 3.2 at release? SUSE Manager for Retail 3.2 will not be enabled for migration at release. The plan is to add migration support at a later point, for existing customers to move to SUSE Manager for Retail 3.2. What are the components of SUSE Manager for Retail? Runs DNS services for the local network, may run DHCP to control the network boot process. Conversely, instead of setting up the DHCP service on the branch server, an external DHCP server can be used. It also provides a boot infrastructure for point of service terminals and transfers system images from the SUSE Manager server to the terminals. What is SUSE’s solution for the retail industry? These products come together to enable customers to manage the IT infrastructure supporting their point of service environments, from the data center to the end point devices. What does the reference architecture look like for SUSE’s retail solution? What are the subscriptions that I need to run this setup? 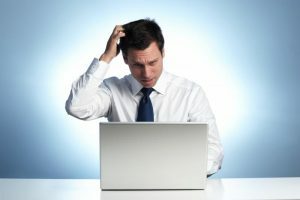 Do I need to purchase SUSE Manager Lifecycle Management subscriptions separately for my managed devices? For environments where SUSE Manager for Retail is deployed to manage the point of service infrastructure, Lifecycle Management for either the branch servers or the end point client devices need not be purchased separately.